Type KYDH206CD-23/KYDH206CD-2360 is self-discharge oil separator, is suitable for vessels and other national economy departments. To separate the water and mechanical impurities from fuel or lube, prolong the durability of diesel engine and other machines. Type KYDH206CD-23/KYDH206CD-2360 oil separator also can separate two types of liquids different in specific gravity and not inter-dissolving; and separate solid from liquid. The bowl and parts contacting with material are made of materials stainless steel (2Cr13), so the liquid that will erode separator is not used. 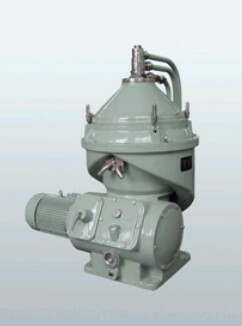 This type of separator is self-discharge oil separator, operation simple. This manual is for correct operation and maintenance. Looking for ideal MARINE OIL WATER SEPARATOR Manufacturer & supplier ? We have a wide selection at great prices to help you get creative. All the MARINE OIL WATER SEPARATOR are quality guaranteed. We are China Origin Factory of MARINE OIL WATER SEPARATOR. If you have any question, please feel free to contact us.